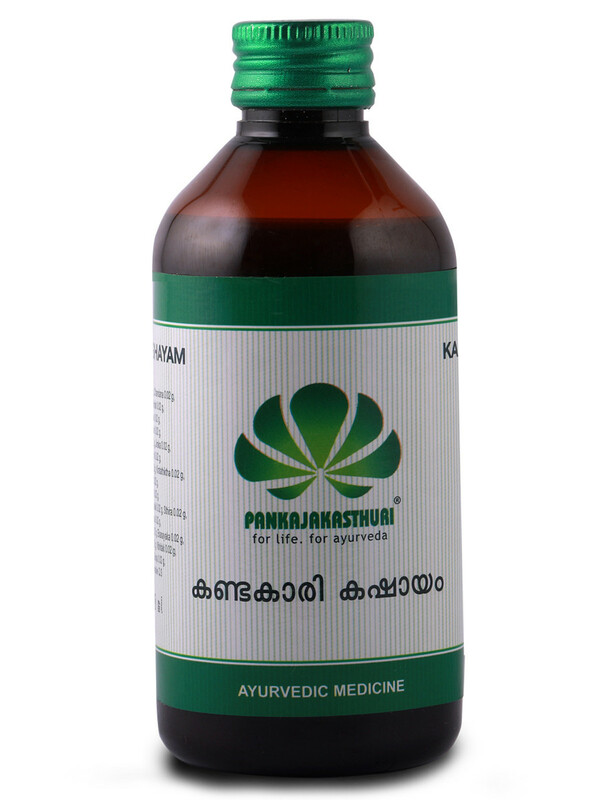 Kashayam refers to a water decoction or water extract of a single herb or group of herbs and can be used for ailments. 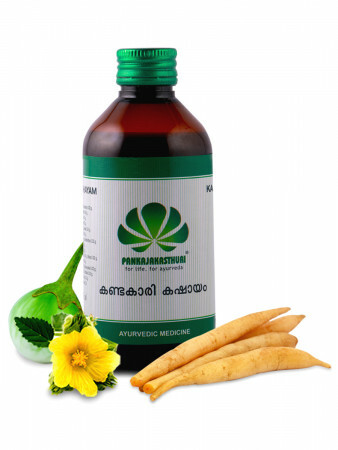 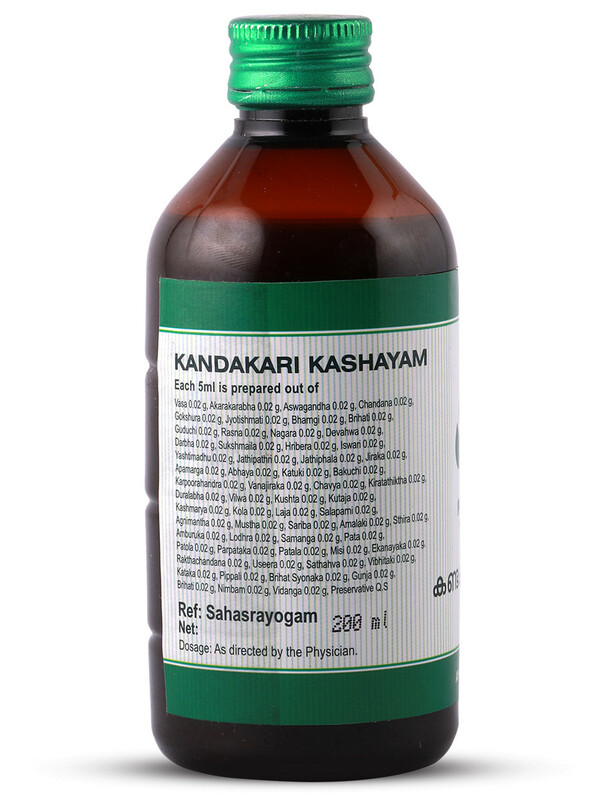 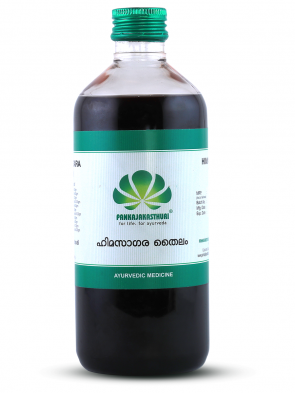 The anti-inflammatory action of Kandakari makes it the main ingredient of Kandakari Kashayam. 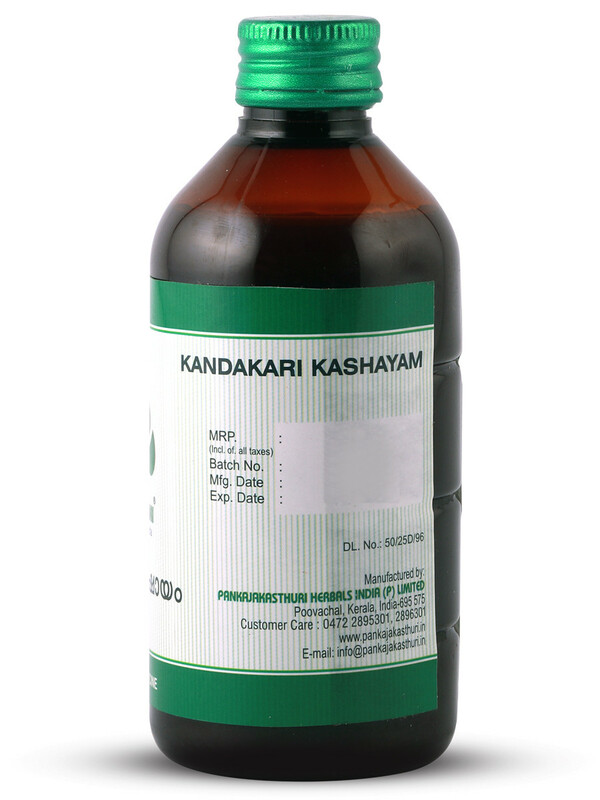 * Kandakari is an Ayurvedic herb, widely used in the treatment of cough, cold, asthma and respiratory tract conditions. 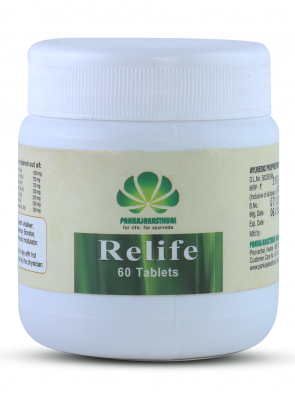 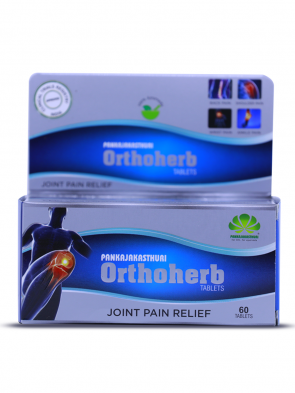 * It is used in the treatment of arthritis, joint pain and other inflammatory conditions.